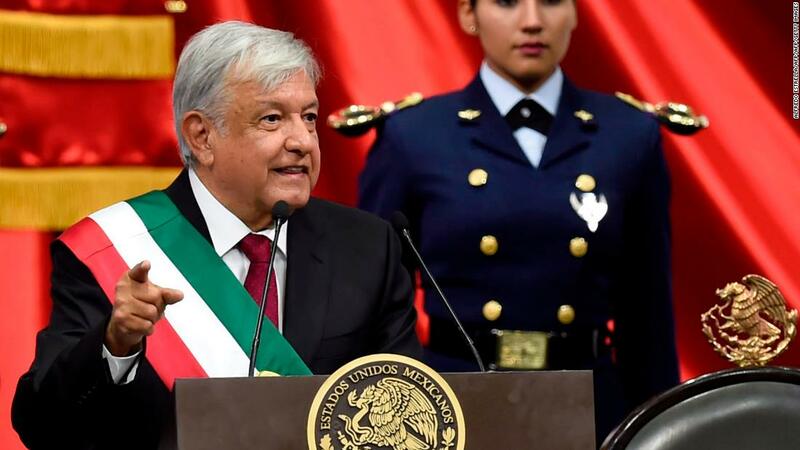 (CNN) Mexico swore in leftist leader Andrs Manuel Lpez Obrador, known as AMLO, Saturday before a crowd that included world leaders and a strong majority in both houses of Congress. 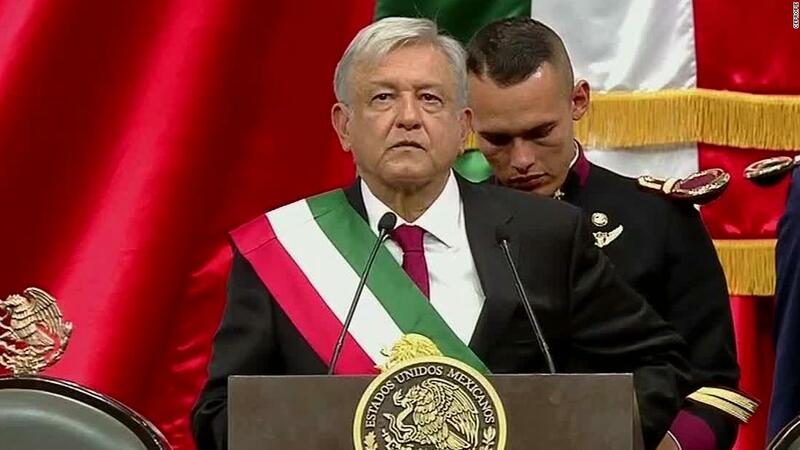 López Obrador won a landslide victory in the July 1 presidential election and began his his six-year term promising to carry out a strong fight against corruption, insisting that the issue has been Mexico’s worst nightmare. “Nothing has harmed Mexico more that the dishonesty of the rulers,” he said. López Obrador also criticized his unpopular predecessor, Enrique Peña Nieto, for introducing “harmful” economic strategies and announced immediate public investment to rescue state oil and electricity industries while proposing the creation of a special economic zone with lower taxes along Mexico’s border with the United States. Peña Nieto leaves with one of the lowest approval levels of any of the presidents. The leftist leader thanked the United States for sending Vice President Mike Pence and first daughter Ivanka Trump to his inauguration, stating that since winning the presidential election, he has been treated respectfully by President Donald Trump. López Obrador also thanked Canadian Prime Minister Justin Trudeau, stating he would like to reach an agreement with both Canada and the United States to tackle immigration issues. At one point, the ceremony turned disruptive after López Obrador acknowledged Venezuelan President Nicolás Maduro causing loud protests from a group of legislators holding a banner with the inscription “Maduro, you are not welcome” while chanting “dictator, dictator.” The feud lasted for a couple of minutes, even as López Obrador continued saluting other dignitaries. CORRECTION: An earlier version of the story incorrectly described a presidential salary cut.